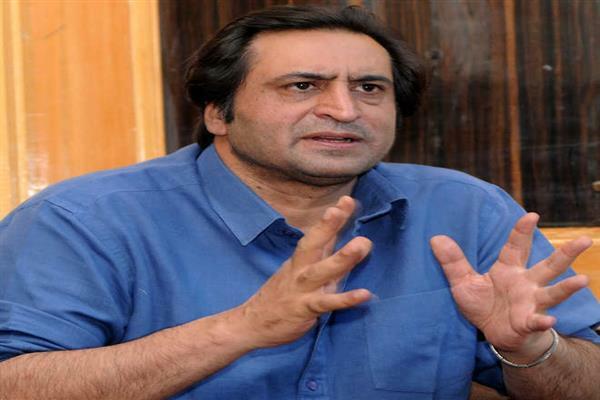 Srinagar, Oct 23 (KNS): Peoples Conference chairman Sajad Gani Lone today slammed former Chief Minister Mehbooba Mufti for calling contestants of the recently-concluded urban local body elections as “rogues”. In a series of tweets, Lone said Mehbooba’s remarks were shameless and “if they(PDP) don’t contest then contestants are rogue and lured by money”. “One of the most shameless statements. The standards she uses to judge contestants. By those standards she was as rogue when they contested in 1996 and 2002. How many votes were polled when they were in Govt in 2002. Does she not remember that?” Lone tweeted. In an interview to New Delhi-based “ The Print”, Mehbooba had said many “rogue elements” who came forward for the elections were lured by money. “Unfortunately, not many good people came forward to fight this election because of the peculiar situation, which will have far-reaching consequences in future,” she had said. Lone also claimed that Mehbooba met many of the contestants whom she called rogue elements. “And incidentally she has met many of the contestants whom she calls rogue and lured by money. Bcos she also wants to have a say on mayoral election. Wow what a double speak. Btw one example@Junaid_Mattu is much more qualified than you Mam,” he tweeted.